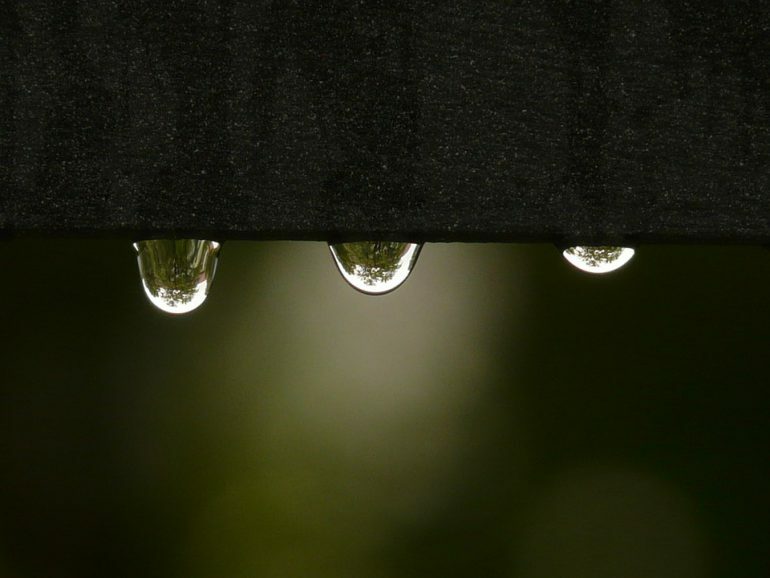 Now the weather is colder and wetter your wooden garden shed will be more susceptible to leaks. Therefore, it’s vital that you take good care of your shed to try and prevent one from occurring. Keep reading for tips and advice on how to maintain your shed to prevent leaks from happening so that you can continue to enjoy your shed throughout winter. Make a habit to check the roof for damages. Anything from bad weather to tree branches falling could tear the felt or damage the roof tiles. Therefore, you should check the roof of your shed on a regular basis to ensure they’re no rips in the felt or loose tiles. If you do notice some damage then make sure to repair this as soon as possible; replace loose tiles and patch up the tears. If you fail to repair the damages on your shed then this could result in your shed not being as watertight as it should be which causes leaks. If you need to make repairs to your roof then we sell spare felt over on our Spares and Repairs section. Inspect the timber for holes or cracks. Inspect the interior and exterior of your shed very carefully, you should try to make this a regular occurrence. Some cracks or holes may be very small, so it can be easier to look for discolouration in the wood from the water, which could then lead you to the hole. If you’ve found a hole then make sure to patch it up as soon as possible using wood filler. Replace your wooden shed after you’ve had it for too long. Naturally, as a shed is made from wood, it will have a life span of around five to ten years, depending on how well you maintain it. 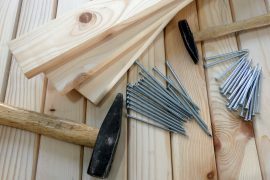 If you’ve had your shed for a very long time and you’ve started to notice some cracks, holes or that the timber is not in a great condition anymore then this could cause leaks. We would advice to replace your shed to prevent the contents of the shed from being ruined. View our range of wooden garden sheds. Apply preserver on a regular basis. 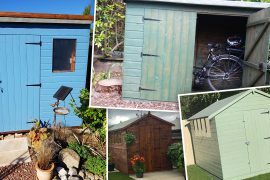 It’s vital that you apply a thick coat of treatment to your shed when you first get it and then at least once a year thereafter. This treatment protects your shed from the weather and the elements, so it’s very important that you apply it regularly. Sweep the underneath of your shed. Make sure to sweep and check underneath your shed on a regular basis to prevent leaves from building up which could then potentially cause dampness and lead to a leak. Seal the windows and ensure that they remain fully sealed. During the assembly of your garden shed we always advise to seal your windows to make them watertight. You can do this using various different sealants, depending on which you prefer, and many people also install beading for further reinforcement. We strongly advise that everyone seals their shed windows and then carries out regular checks to ensure that the sealant remains watertight. If you take care of your wooden shed and maintain it then generally it will last you a long time without any leaks. Treat your shed with preserver on a regular basis. Check the felt or shingles for damages and make any repairs if necessary. Ensure they’re no holes or damages to the timber. Sweep leaves from underneath the shed. Ensure that the windows are fully sealed and remain fully sealed. Head over to our Help Centre for further tips and advice relating to your garden building. 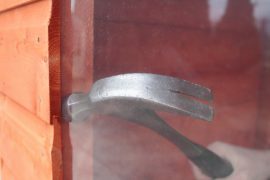 Next articleHow to repair a broken shed window, stress free!